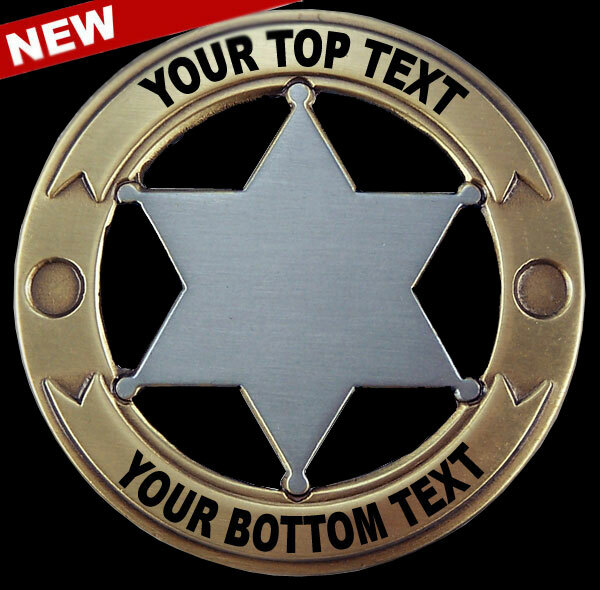 This high quality Old West replica badge is crafted out of brass. 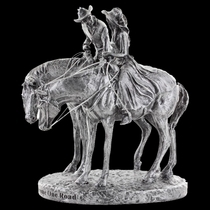 It is double-stamped then silver and gold plated and is then hand finished for a unique antique look. Approximately 1 3/4" high with bar pin style back and packaged in an old-fashioned style Kraft box with an optional custom story inside the box. You will receive an illustration for your approval within two business days of placing your order. All orders processed within 48 hours. Please allow seven business days shipping.